The 12 month Professional Master of The FBA is divided into 4 modules. In order to deliver the best football business leaders of tomorrow, we believe it is essential for our Candidates to gain knowledge of the football industry across all three dimensions: the past, as a cultural sensibility is essential to understand the origins and (recent) history of the sport; the present, in order to discover all football stakeholders and analyse the best practices; and future, because in this ever moving industry, it is crucial to come with an innovative mind, with new ideas and solutions to better address today’s key issues and develop tomorrow’s opportunities. 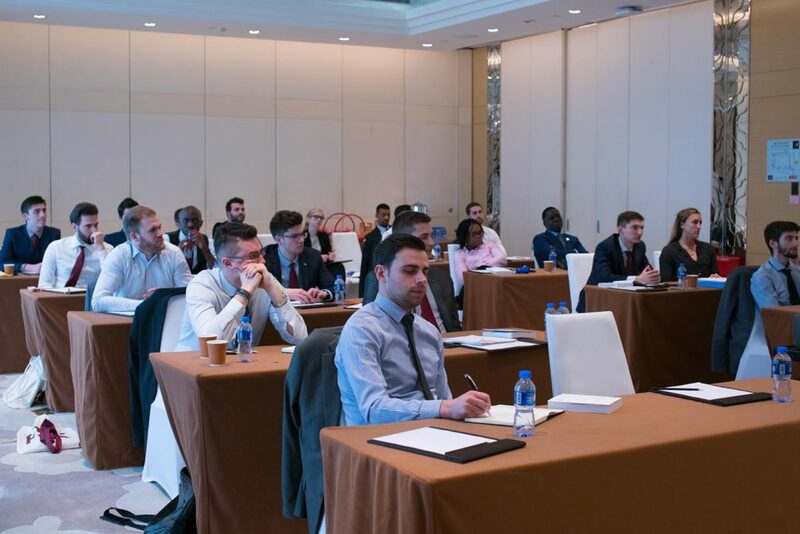 By combining this knowledge with participation at Soccerex events, our Candidates will be prepared to start their provided internship (Module 3) where they will be able to use their acquired skills and contacts, get a foot in the industry and learn first-hand how it works. Finally, the fourth module combines a Student Business Project with additional industry specifics for Candidates to expand their knowledge of. The SBP will be sanctioned by one of our Partner Network members and will give Candidates the opportunity to work in teams on a real project given by a football club, federation, or other football-related organization, thereby allowing them to keep moving forward into the football industry. The Soccerex Week allows our Candidates to foster bonds with each other, Professors and staff, while also starting to develop their portfolio of business contacts. It revolves around a Soccerex event, complemented by workshops and stadium visits. The first module is an introduction to the football industry which provides students with a broad overview and a strong emphasis on ethics. The second module goes deeper, teaching our Candidates the different aspects that the football industry entails. A provided internship by The FBA at one of our Partner Network members for Candidates to get hands-on experience in the football industry. While working on the SBP and participating in insightful Field Trips, the fourth module covers additional industry specifics for Candidates to expand their knowledge of. Welcome to the Football industry! At The FBA, we are well aware of how fast the football industry keeps growing and changing. Yet, contrary to how other professional industries such as law, medicine, or accounting are set up, football has been lacking a learning structure, which allows its professionals to continuously re-educate themselves and truly understand how new trends or laws can influence their business success. Therefore, our commitment to our alumni is to give them lifetime access to course material and FBA events so they can stay ahead of the game and exchange ideas and opinions with younger generations, thereby creating a unique, continuous learning environment which benefits everyone involved. Possibility to learn from any place at any time via our virtual campus, and hence have more time to prepare the transition. Reducing the overall investment by taking living/relocation costs out of the equation and being able to work simultaneously. Being part of a truly international class. Following courses given by the best international Professors and Guest Lecturers, as they themselves are also not limited by time or location in order to share their knowledge and insights. 4 to 10 live videoconferences every week to interact with Candidates, Professors, and Guest Lecturers. Contact Candidates, Professors and administration at any time directly via our dedicated platform.